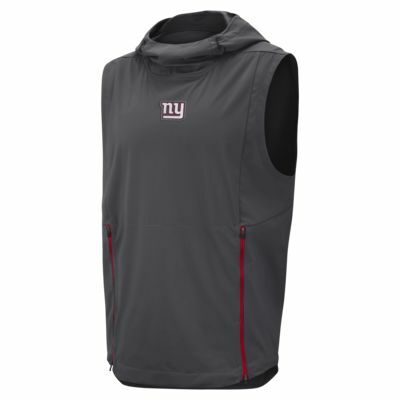 The Nike Shield Fly Rush (NFL Giants) Men's Hooded Pullover Vest features team details on weather-resistant fabric. Perforations on the back add ventilation so you can keep at it in stormy weather. Zippers on the sides lead to an internal pocket. 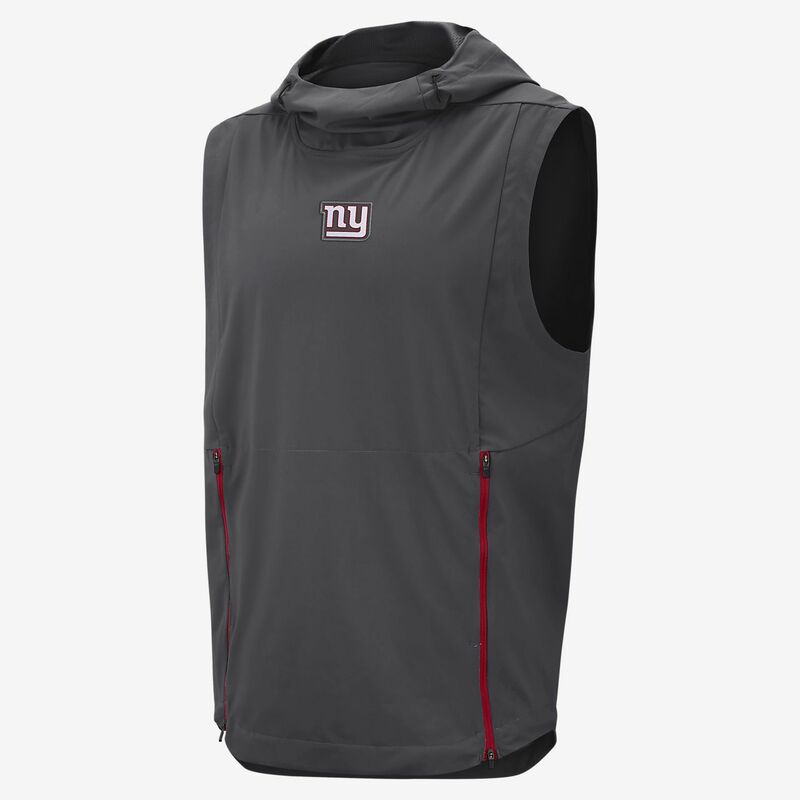 The Nike Shield Fly Rush (NFL Giants) Men&apos;s Hooded Pullover Vest features team details on weather-resistant fabric. Perforations on the back add ventilation so you can keep at it in stormy weather. Zippers on the sides lead to an internal pocket. Fabric: Body: 100% polyester. Lining/pocket bags: 100% recycled polyester. Have your say. Be the first to review the Nike Shield Fly Rush (NFL Giants).